But still… a key part of the journey towards our wedding was the wedding photography, and videography. Like every other couple, we’d love to keep photographic memories of our big day. Therefore, it’s crucial to get the right people to capture those moments for us. As mentioned, we didn’t opt for any pre-wedding photography simply because it doesn’t represented the “couple” in us, and of course… it was a choice both of us agreed on. Initially, we only wanted to have wedding photography. In fact, we were even contemplating if we could just get one of my siblings to be our “wedding photographer”. But we’d be depriving them from enjoying our wedding as a family member then. That’s when our search for an outsourced photography team started. The best place to look for one was definitely at wedding exhibitions. 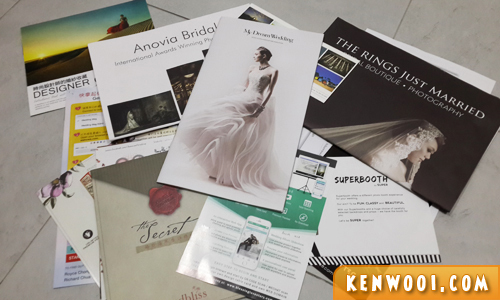 In total, we’ve been to about 2 or 3 wedding exhibitions (about 1 year before the wedding) to look around for ideas and potential vendors that we could engage. As expected, there were the bigger players with amazing credentials and awards… but their photography rates were exorbitant (close to if not more than RM10,000) and we were sometimes uncomfortable with some of the sales representatives. More often than not, we leave the exhibition hall empty-handed. Well, maybe not exactly empty-handed because we would have brochures with us. Heh! 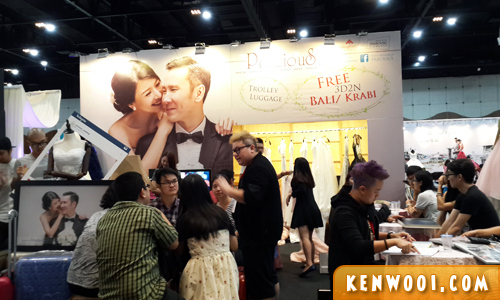 Our last wedding exhibition outing was at the KL-PJ Wedding Fair held at the Mid Valley Exhibition Centre back in May 2016. After the past experiences, we didn’t set our hopes up high. I guess that’s why good things come when you least expect them to. Here, we met Hugo, one of the founding members of Basetime Production. On top of that, the package includes videography. That’s how we now have both photos and videos taken during our wedding. It was truly a joy working with Basetime Production. The team that were assigned to our wedding consists of 4 young gentlemen… Hugo, Ban, KS, and WK. 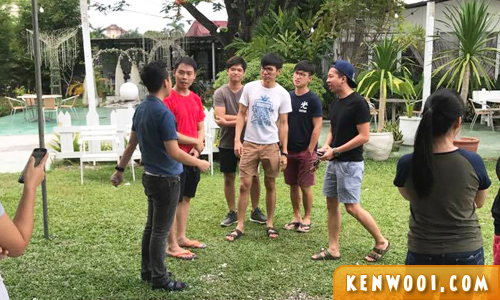 They arrived in Ipoh a day before our Garden Wedding and dropped by Adonis Bridal to have a look at the location. They even provided useful advice on the flow of the Garden Wedding. Fast forward to the morning of our Garden Wedding, the crew were punctual. They arrived 1 hour before the occasion and did their pre-event shoots. 2 photographers and 2 videographers were full on throughout the ceremony. It was great to see their collaboration and chemistry with each other, and not forgetting to have fun at the same time. 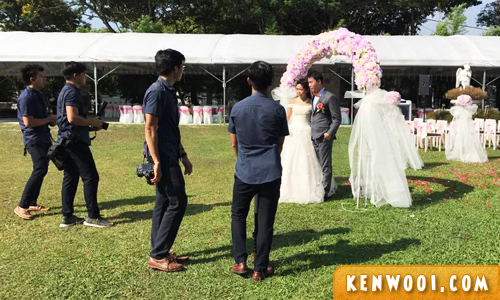 Our wedding photography & videography package rates (quoted as at May 2016) was RM5,000 + RM1,000 (outstation assignment in Ipoh). For the latest rates, you can contact Basetime via the link shared below. Besides taking photos and videos, they were very engaging with our guests. 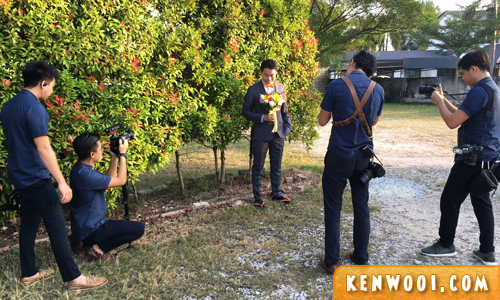 They also helped us with the shooting arrangements at Gunung Lang, ensured that we had good poses, hair in-check and coordinated with Adonis’ in-house photographer during the Garden Wedding. Turning back time to our initial conversation with Hugo when we first met him, he shared that Basetime Production stemmed from a final-year university project. 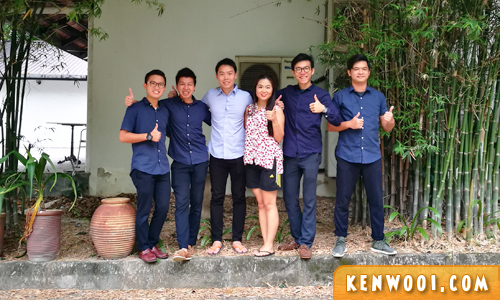 After graduating in 2013, he launched the project into a business. Just like that, it’s been 4 years since Basetime took off. As an up and rising team in the wedding photography scene, I believe they have what it takes to compete with the bigger boys. It’s evident that they’re a group of passionate and hardworking individuals. We really sensed a great level of professionalism which makes them an amazing team to collaborate with. Out of work, they were like great buddies… joking away with their funny antics. I couldn’t have asked for a better wedding photography & videography team. You guys were awesome! Check them out at Basetime Production’s Facebook. 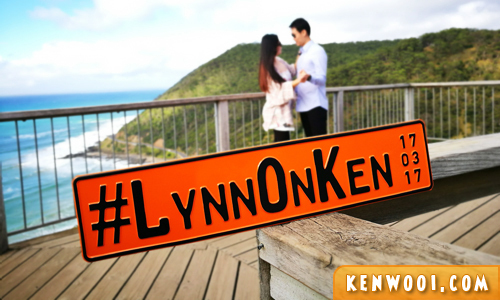 Here’s a glimpse of #LynnOnKen by the awesome Basetime Production! Congratulation! May your married life be filled with love, joy and laughter!